The Atlantic herring is perhaps the Atlantic's most important food fish. Fish flakes in Friendship, Maine. 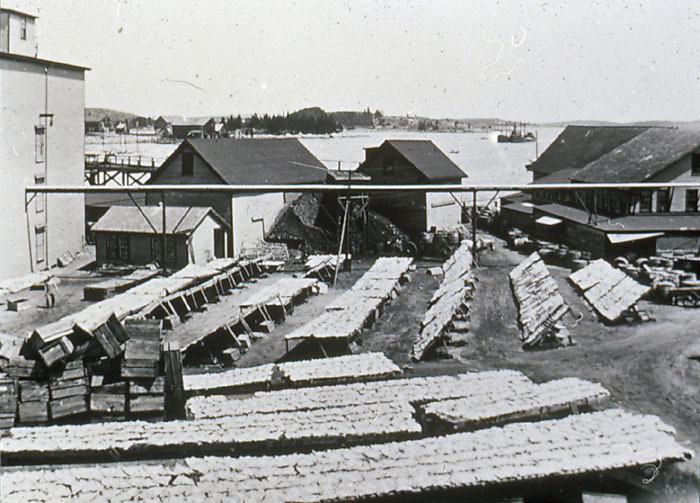 After processing, cod were salted and dried on fish flakes or drying racks. 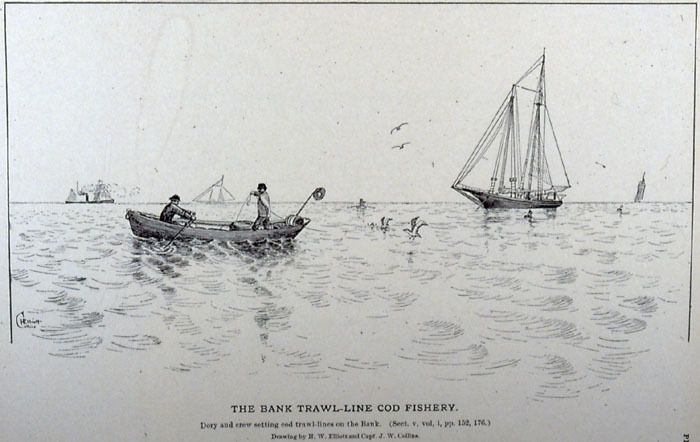 These racks were a common feature in Maine fishing towns. Once dry, the fish was packaged for shipment. Dried salted cod could keep for well over a year. These flakes are near the water's edge. 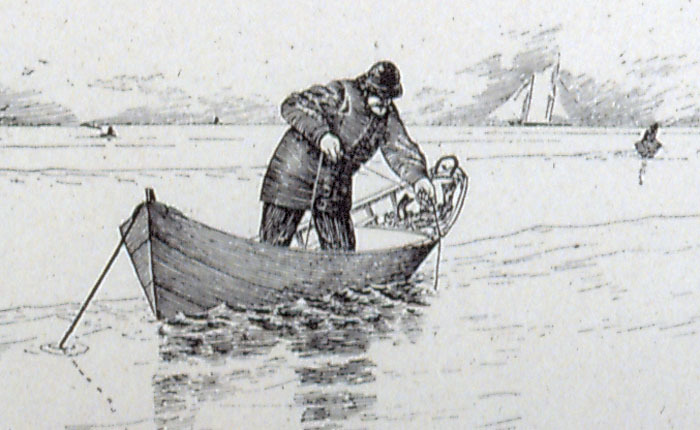 There is a lobster car (float with compartments to hold live lobsters) pulled up on shore next to it as well as a small boat pulled up on a ramp. Like most coastal towns in the late 19th century most of the tree cover had long since been cut down. Drying racks for fish are called fish flakes. Salted split fish, usually cod, are laid out on them to be dried in the sun. The fish needed to be covered from rain. 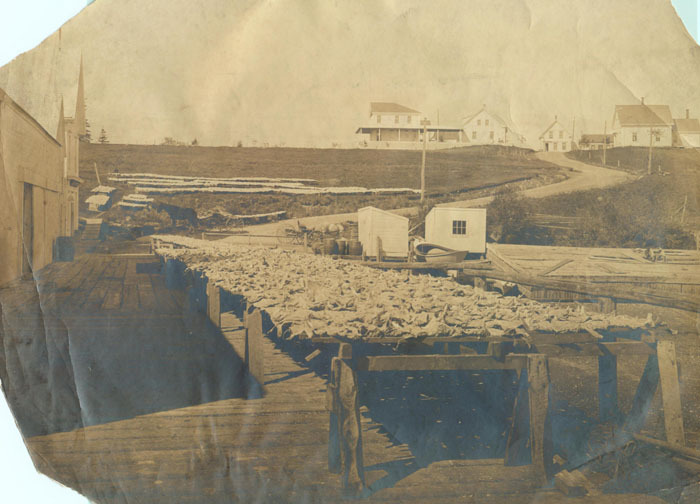 Once dry, the fish was packaged for shipment. Dried salted cod could keep for well over a year. These fish flakes are located in conjunction with a fish processing plant which might well be the Lane-Libby Company in Vinalhaven. But fish flakes could be anywhere. Small amounts of cod could be dried for home consumption or for resale to larger buyers and processors. 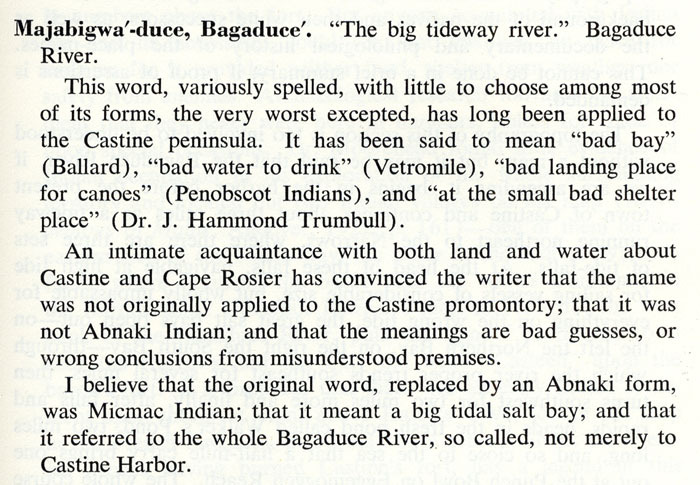 From Fanny Eckstorm's book, Indian Place-Names of the Penobscot Valley and the Maine Coast, 1941. 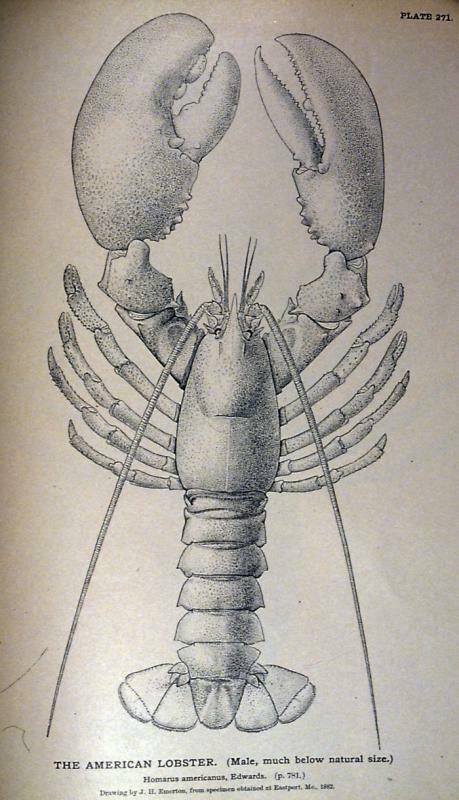 Majabigwaduce was the Penobscot name for what is now known as the Bagaduce River at and above Castine.